Dr. Apuzzo received his bachelor of science degree from Boston College, with a double major in biology and philosophy. He then earned his medical degree at the University of Medicine and Surgery in Padua, Italy. He completed a surgical residency at The Brooklyn-Calendonian Hospital and a residency in family practice at St. Joseph’s Medical Center in Yonkers. Board certified in family practice, he was a medical advisor at Richmond Children’s Center and then attending physician for many community homes for severely handicapped children and adults, including the Kaessler Residence. He has been an attending physician for decades with St. Joseph’s Medical Center and St. John’s Riverside Hospital in Yonkers. 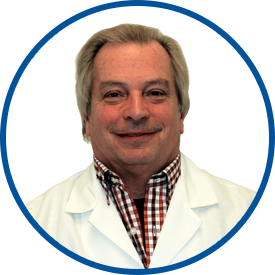 Dr. Apuzzo is a member of the American Academy of Family Physicians. Castle Connolly has listed him as a Top Doctor for 10 consecutive years. He joined Westmed Medical Group in April 2016. Dr. Apuzzo speaks English and Italian. Dr. Thomas Apuzzo is the best doctor I have ever had! I recommend all my family and friends to visit any West Med facility for any of their medical concerns. The care provider was very knowledgeable and answered all my questions. I know Dr. Appuzo for many years, and only had good words about his knowledge and professionalism. Dr. Apuzzo and his staff are the best. I have been a patient of *Dr. Apuzzo for many years. I will never change doctors. Dr. Apuzzo is very knowledgeable and explains medications and possible side effects. In addition, he is courteous and is always makes himself available whenever I have a medical condition.